The weather forecasters predicted heavy accumulations of snow, and by this afternoon the snow was coming quickly, and and it began to accumulate fast. 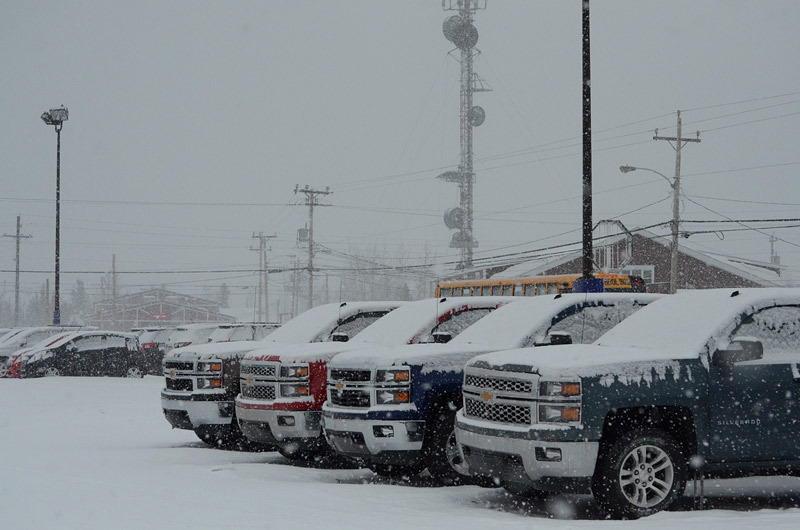 At the motor vehicle dealership, fresh snow accentuates the shapes of the new trucks parked in a regular line, and creates light and dark patterns all down the lot. So now you are reinforcing the stereotype of Canada=snow. :) This photo has me more interested in the tracery of lines of the background power lines than the trucks?